Dr. Fink will give a presentation on transferenceÂ and love in the morning followed by a caseÂ presentation and discussion in the afternoon.Â Admission is $100 forÂ Clinicians and the general public. Admission for students is $30. 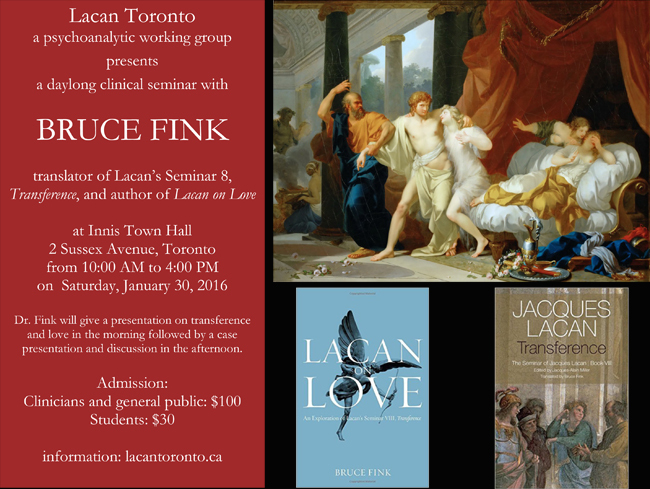 Please visit lacantoronto.ca for more information about this event.